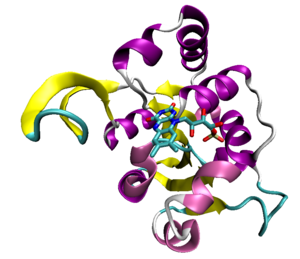 ATPint:is a web based tool for prediction of ATP binding residue in protein sequence.It takes amino acid sequence in FASTA format as input and predict the ATP-interacting residues with Support Vector Machine (SVM). These method have been trained and tested using five-fold cross-validation. Residue-wise detail prediction by ATPint is given in tabular format. This table contain three columns (i) amino acid residue, (ii) SVM score and (iii) prediction class. Chauhan, J.S., Mishra, N.K. and Raghava, G. P. S. (2009) Identification of ATP binding residues of a protein from its primary sequence. BMC Bioinformatics 10:434. Home | Submit | Team | Suppli.html | Help | RAGHAVA.